One of the key secrets I discovered early in my business career is that you have to find a way to stand out from the competition and give people a reason to work with you. So I created a personality called the Real Estate Investment Queen. Many people know me for that brand, which helped me build a multi-million dollar business in twelve months. Then, when I started offering business and marketing coaching for woman entrepreneurs, I developed the SuperWoman Lifestyle brand, which became the basis for a successful business that has now grown well beyond business coaching. Now that I’ve been through the process several times – including helping many clients create and grow successful brands – I tell people you need to start by listening to what people say about you and then decide how you want to position yourself in the marketplace. I want to share with you a four-step process that will help you get very clear about your market and help you define the right brand for you. People: Who are your customers? Problems: What problems (or dreams) do they have? Products and Services: How can you help them? Positioning: Why should they choose you? Step #1: People: Who are your customers? The big mistake many people make in business is trying to be something for everyone. It can often seem that appealing to a wide audience is the fastest way to more sales and profit. But the truth is, you stand a better chance of success if you focus on a specific market. Demographics: This is identifiable and quantifiable categories like age group, gender, education level, income group, geographic area etc. Sociographics: This reflects the social groups they belong to and the way they are influenced by others around them. It may reflect shared views and attitudes of a group. Psychographics: This reflects how they think and make decisions. It includes things like what’s important to them or their interests and beliefs. When you define your ideal customer groups, you’ll find it’s a mix of demographics, sociographics and psychographics. For example, a target based on demographics only would be women under 40 living in California. When you add in sociographics, you’d have women under 40 living in California who have children at private schools. When you add in psychographics, you’d have women under 40 living in California who have children at private schools and who want to run their own businesses. Combining the information from these three perspectives gives you a much clearer focus on your ideal target market. Don’t get too bogged down in what the specific terms mean. The actual technical terms don’t matter too much. What matters is ensuring that you have defined your market in enough specific detail. One of the most important reasons for defining your target market clearly is that you need to know how you are going to reach them with your message. That means you need to know where they hang out, what publications they read and who already has access to them. Without knowing this, you cannot create marketing campaigns to get your message across to them. 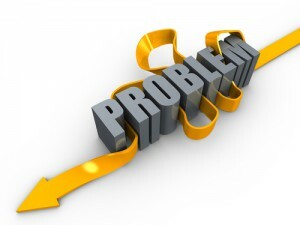 Step #2: Problems: What problems (or dreams) do they have? They want to solve a problem. They want to make their life better in some way (including their family’s life or their professional life). This principle applies whether you are selling to individuals, business owners, or larger organizations. The more you understand about what your market wants, the more likely you are to be able to give them a solution – and to convince them that they need to buy it. Some people buy because they want to solve the problem and others buy to achieve the dream. For example, one person may see their situation negatively: “I need a vacation because I’ve been working so hard and I’m tired and stressed”. Another may be more positive: “I have been working hard and I’ve earned a break where I’ll get a chance to enjoy myself”. You could sell exactly the same product or service to these people but you need to be able to tailor your message differently to appeal to each. Sign up now for my FREE 7-part Branding Blueprint video series to learn more of the secrets for transforming your business by creating a unique and highly profitable brand. Step #3: Products and Services: How can you help them? Once you understand what your customers want, the vital next step is defining exactly how you are going to meet their needs profitably. The key is to match their needs and wants with what you can offer. You will probably offer a range of products and services that meet different degrees of need and reflect the different budgets that people are willing to pay. When you describe what you do, it’s important to remember that people are only interested in what it means for them. You have to put the focus on the outcome or transformation for them. For example, a CPA shouldn’t say, “I’ll do all your accounting for you.” That focuses on process and turns them into a commodity which makes them the same as lots of other people. They need to be able to say something like, “I’ll make sure you meet all your legal obligations while paying less in taxes” (or whatever they identify as being the key worry for their clients). When you are clear about how you can help people, this will help you develop more effective marketing and create better products. It also helps you be more motivated to do a great job. Step #4: Positioning: Why should they choose you? The final step in the process is identifying why a customer should choose you. In most cases, your prospects and customers could go somewhere else to get the help they need. They may even decide they don’t need it. So you need a good reason why they should choose you. If you can’t think why people should choose you, you may need to find ways to change what you offer so that you stand out. Your specific expertise and knowledge. Serving a specific geographic location or market segment. When you identify the right reason, it can help you stand out in even the most saturated market and become the obvious choice. If you want to learn more about this process, please sign up today for my FREE Branding Bootcamp 7-part video series. You have nothing to lose by signing up today and possibly so much to gain. I’ll see you in the first video shortly! In the last part of this 3-part series on how you can transform your business into a unique and highly profitable brand, I’m going to share with you seven of my favorite marketing strategies that helped me build these two unique and highly profitable brands. You’ll discover how you can do the same. Be sure to sign up for my free video series on how you can transform your business by creating a unique and highly profitable brand, you’ll learn more about branding and how it can help your business grow.